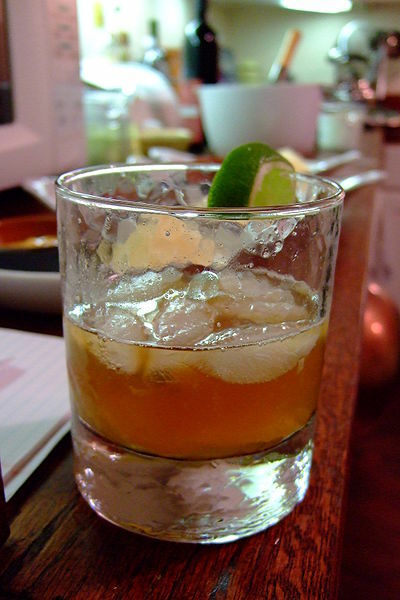 A Dark and Stormy (or Dark 'n' Stormy) is an alcoholic highball style cocktail popular in many British Commonwealth countries, such as Australia and Bermuda. It consists of dark rum and ginger beer over ice. The local rum is usually used, for example, Bundaberg in Australia or Goslings in Bermuda. 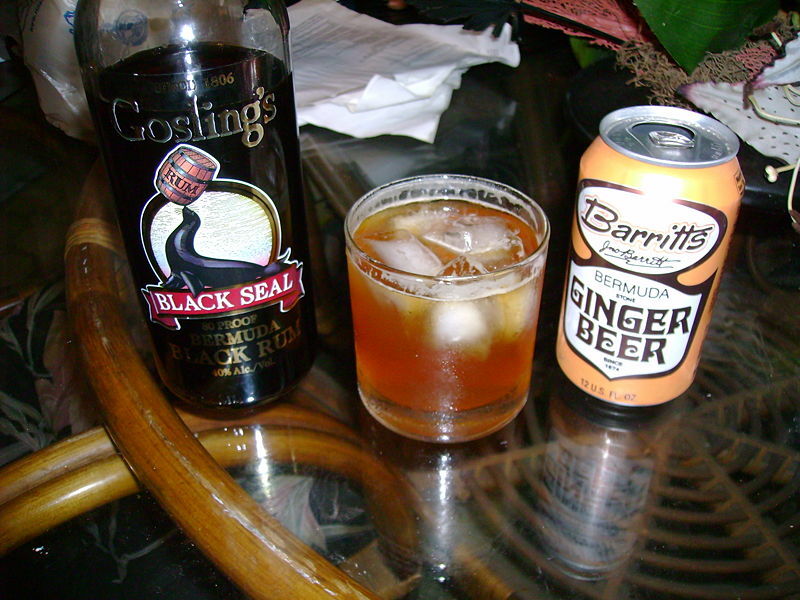 In Bermuda, Dark 'n' Stormy is a registered trademark of Gosling's Brothers Limited. It is described as "Bermuda's National Drink", a description often applied to the Rum Swizzle as well. Left: A Dark and Stormy. While the Dark 'n' Stormy is traditionally made with dark rum, one variation nicknamed the Light 'n' Stormy uses 10 Cane, a light rum. Another variation on the Dark 'n' Stormy, called the Ginger Bush, swaps Rum for Bourbon. Yet another variation is called the Bright 'n' Sunny. It substitutes top shelf vodka instead of dark rum and uses more lime juice, effectively making it the opposite for a nice hot and sunny day. Pour the rum into a highball glass over ice. Pour the Ginger Beer over it. Squeeze in the lime wedge and drop it in.